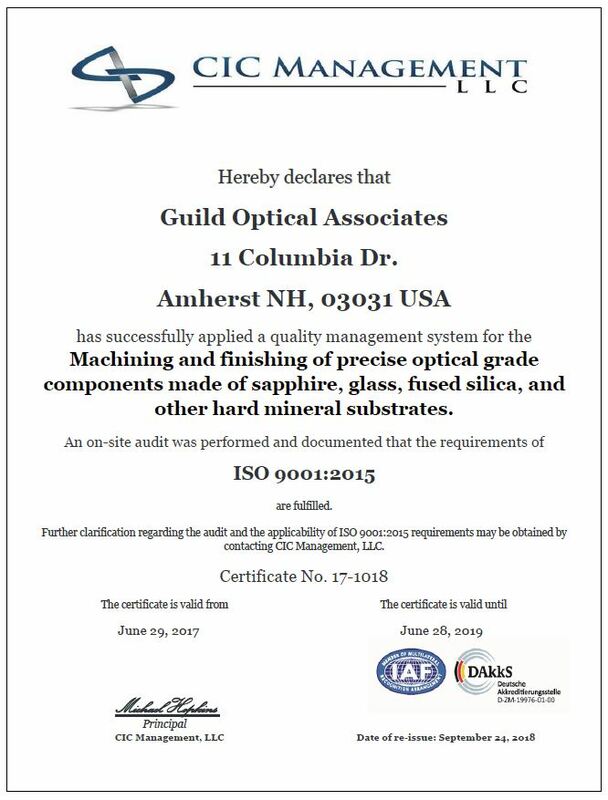 Guild Optical Associates of Amherst, NH has taken the necessary steps to become an ISO 9001 certified organization. For over 24 years, customers have come to expect a high level of quality optical components from Guild Optics. 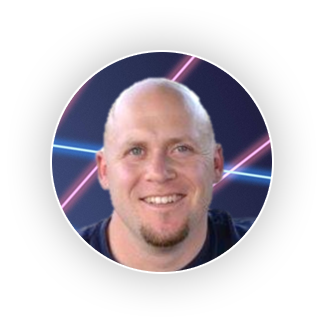 Their team has been manufacturing sapphire optics under proper ISO standards for over two years, but wanted to take the next step of commitment to quality for their customers. CIC has certified with the International Quality Network that Guild Optical Associates manages its quality system in accordance with the International Organization for Standardization. This certification ensures that Guild Optical Associates has the proper processes and procedures in place to deliver a consistent high level of service. Guild Optics is considered a leader in the field of sapphire window and sapphire lens manufacturing. Their top tier reputation is spreading throughout the industry. The addition of this certificate shows that Guild Optics has the proper quality management system in place in order to grow and continually improve for many years to come.